Lifestyle Transitions can be emotional and stressful. 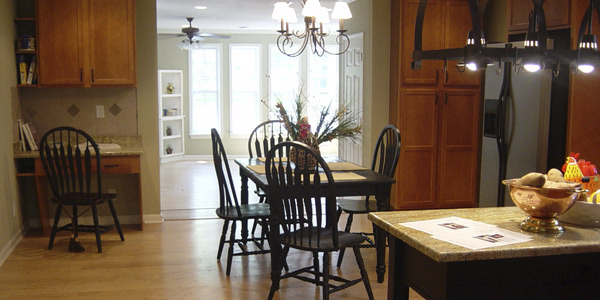 Let us assist you and your family with selling your home and downsizing into a new home. 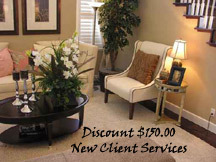 Home Staging and Redesign, when completed by a certified and experienced marketing specialist, can SOLVE problems. Have you ever wondered why some homes sell at lightening speed? How about the ones that sell fast and for top dollar in the market? Meanwhile, your expensive home stays on the market for months and months. The statistics consistently show homes that are professionally staged and redesigned SELL 80% FASTER! We can help you gain the most competitive edge in this tough real estate market. 1. Assessment of Interior & Exterior - This essential step addresses the focal points and drawbacks. We start with the front of the home and "curb appeal." We devise a plan to remove any clutter, messes, odors, repairs, cleaning needs, prioritize from curbside to closets. Review any Realtor recommendations and showing conditions. We review the budget, identify resources to get it done! We can offer staging analysis. 2. Redesign Phase: We use what a home seller already has, (or has access to) so we minimize expenses. This involves rearranging furniture, changes in use of space, removal of some items/storage, and maximizing what is in the home already. 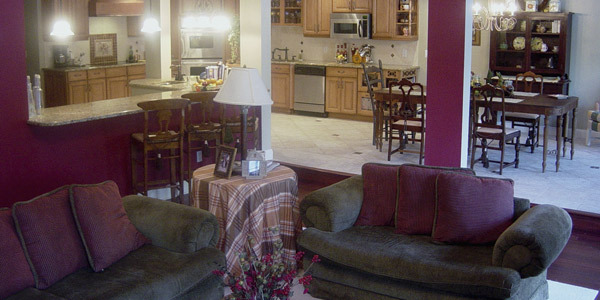 You will be amazed how a few rearranged rooms will shine and sell the home faster! 3. Recommended Purchases/Rentals - Whether your home is vacant and needs light furnishings, or you need a better presentation, we have solutions. Working within client's budget, we focus on the most important areas ie. change out an old light fixture, bathroom colors. These will be items that will give a very high return on investments. It can be completed by homeowner or others, while others are best done by affordable professionals. Remember, our goal is to get your home sold FAST and for the MOST money! 4. Assess the "WOW" Factor - When done test drive a showing with others. Get any further feedback from your Realtor to Maximize Showings. We will help you find and exceptional Realtor if needed. Plan showings at completion. 5. 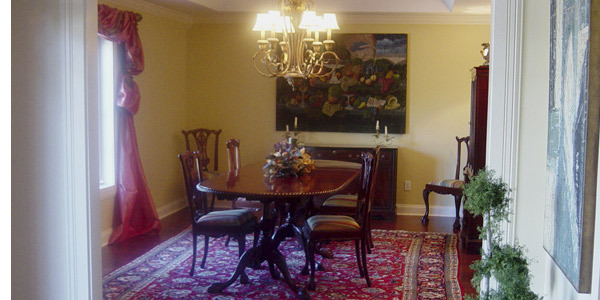 Provide Excellent Photographs of the Staged Home - This insures best images from the start. Additional premium marketing can be provided. For 20 years, it has been our policy to give 10% or more of our profits to life giving and family oriented charities. Mrs. Maynor and her family have a philosophy of giving back to the community simply as a way of life. Mrs. Maynor started a successful community program in 2011 called "PureBeauty" to teach teen girls purity. 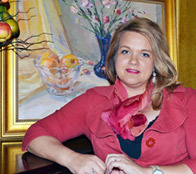 She continues to teach and raise awareness of programs and outreaches that protect and heal women of all ages. "Amy Maynor and the crew of Beauty for Homes have completely remodeled a number of homes successfully!